Flamingos’ Commercial helps break records for the Educational Enhancement Trust Fund! 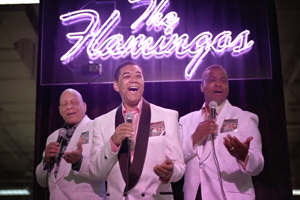 Terry and The Flamingos are proud to be a part of the Florida Lottery success story this year. Their commercial broke all sales records in the history of the Lottery and their YouTube commercial received more views than any other in the history of the Florida Lottery. A record $1.41 billion is expected to go into the Educational Enhancement Trust Fund.